Mini and portable appearance, space-saving, and metal shell is firm and stable, durable in use. Providing perfect rotary speaker effect, 4 different stages available. 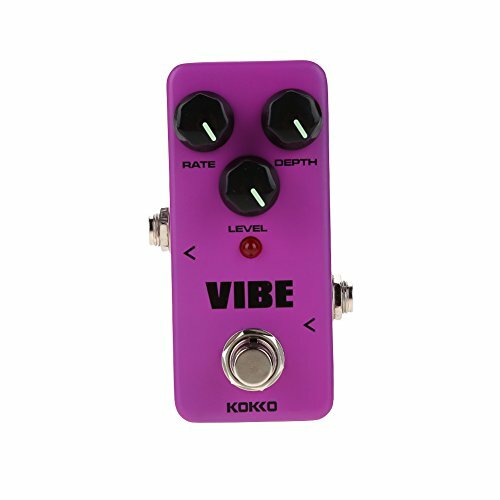 RATE Knob: Adjust the sweep rate of VIBE effect. LEVEL Knob: Control the sound volume of effect. DEPTH knob: Adjust the the amount of sweep deviation. ON/OFF LED light for indicating effects or bypass status.